Ragnarok M: Eternal Love [SEA Server] Big Cat UFO Invasion Event! We have scheduled server maintenance on 11th April, from 12:00PM to 3:00PM (GMT+7), to process a new update patch. 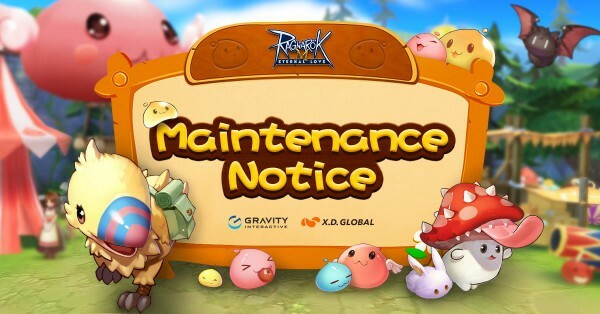 During the maintenance, players will not be able to log into the game. After the maintenance, we will send 2x 「Adventurer Coins」, 2x 「Hot Meal」, and 2x 「Lightning Chain」 as compensation. We apologize for this inconvenience. Stage 1: At the start of the event, there will be Cats’ UFO and space ship flying on top of Prontera South Gate. All the cats will invade Prontera South. « Ragnarok M: Eternal Love [Global Server] New April Events and Magic Masquerade: Exclusive Fairy Tale Headwear!